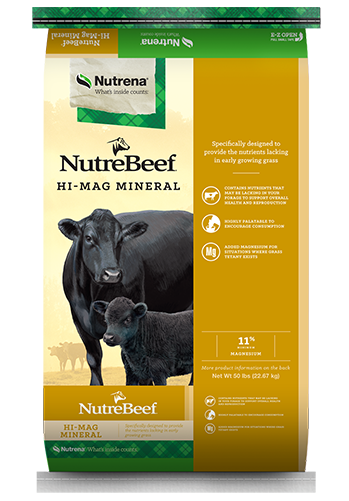 By supplementing the ration with NutreBeef Hi-Mag Mineral, you ensure your cattle have everything they need for healthy growth, development and feed efficiency. 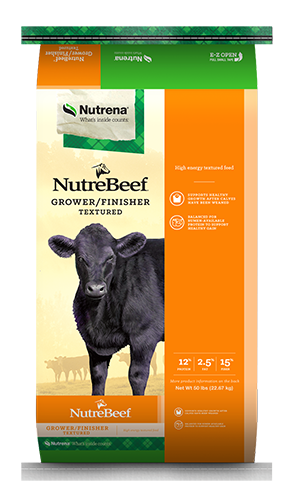 Allow one foot of mineral feeder space for every 100 cattle. Cattle will eat more consistently when mineral is kept fresh. Plan feeding so that fresh mineral is provided weekly. Use the location of the mineral feeder to help manage intake. 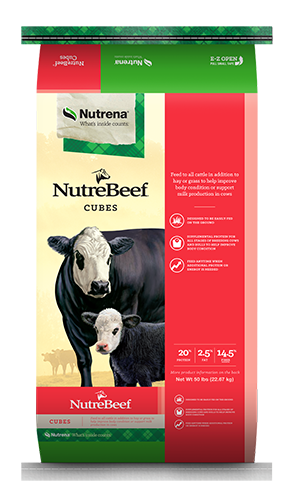 To increase intake, position mineral feeder in areas where cattle gather, such as in watering or shady areas. To decrease intake, move mineral feeder away from areas where cattle gather.